Hi, I'm Roy! I'm a Cushy Critter stuffed rhinoceros or rhino, for short. I'm just the right size to take along, so I'm ready for all sorts of imaginative adventures with you. You'll love my super soft light gray fur and gray accents, warm brown eyes, and especially the awesome horn on my nose. Super shweet, isn't it? 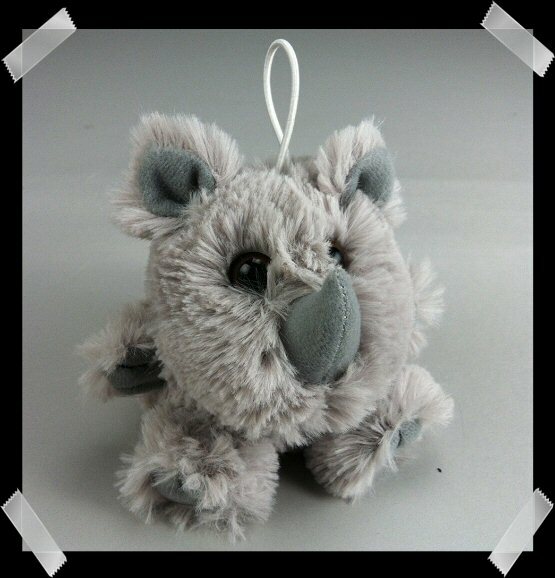 You can call me Cushy Critter Roy (or whatever name you think would fit a fabulous plush rhino like myself) and lets be best friends. I even have an elastic loop making those taking along adventures even easier by simply looping it around your finger.